How do they compare to Spartan's and Coverts? I have 2 Spartans and 4 Coverts and love them both but I am leaning towards scrapping my Spartans bc their service has gotten bad, and its a PIA to set them up compared to my Coverts. Put my Snyper up last week and it works as it should. Only thing I messed up at first was I choose AT&T as the sim provider and should of choose Mavco. Got it fixed and it works good now. Hoping to do the firm wear update in the future to enhance the pics but they are pretty good now. I saw these at the show in Houston about a month ago and they seemed pretty good. They got signal inside of GRB convention center which is kind of a miracle all on its own..
I’ve never had a problem with my 3g Snyper. I can’t speak for the newer models, but my favorite thing about mine is not having to keep up with firmware updates. It worked out of the box on initial setup and I haven’t messed with it in two years. It probably has a lot to do with my hate for updating my iPhone. I hate messing with something that is working and it seems to never go right the 1st time. I guess I’m not a techie. I think the newer ones have a lot more features like sending video as does Spartan & Covert. Maybe there are updates involved,but I hope not. Find More Posts by Richard M.
Just thought I would let yall know. Just bought another snyper. It appears that Snyper decided we did not need the command feature any longer so if you ask it to take a picture or want to change setting via the app, you are no longer able to. BTW, this is per Snyper as I just got off the phone with them. Just got a brand new 4glte this week. Wish I would have known. How much you want for the Spartans? I like buying scrap. I’m so confused on these cellular cameras. Seems like you get contradicting stories on all of them. I been reading and researching them for several months and am afraid to spend the money and get one because I’m afraid it won’t work. I can’t afford to spend $400 on one just to have it not work because I wouldn’t be able to buy a different one. Just talked to a coworker this morning about this. He is running a Covert and hasn’t had any problems. He had a friend that has Snyper and is working good. But he had another friend who had a Snyper and his doesn’t work. I have a friend on my lease that had a Covert and his didn’t work well. So what do you do?? Just roll the dice and hope for the best??? Did I mention I’m so confused about all this??? I’ve got both a spypoint and Snyper. Haven’t set out my Snyper yet, but will I’m about a week or two. The spypoint has been out since early august, it’s got the built in solar panel with backup AA batteries. According to the app the AAs are still 100%. The sent pictures are ok, I’ll see how the pictures are on the memory card when I go back to the ranch. Call Trialcampro.com. Excellent customer service. They will talk you through the purchase and any trouble shooting you may have. They have helped me out with mine numerous times and even replaced one with newer version no questions asked. They can be challenging. Especially if you are not real tech savy like me. I have two Covert 4G and one Spartan 3G out in the field right now. One in Old Mexico and two here close to home. All three are working flawlessly right now (knock on wood). The key is getting them set up properly. That is half the battle. Then you need to worry about maintaining a good signal and keeping the batteries charged. Covert gets my vote for the time being. I searched and didn't see it. Has anyone been having problems getting pics from their Snyper camera? Saw online their server was down and was supposed to be fixed but I haven't received any pics in a week. Emailed Snyper and haven't heard back yet. it emails pics direct to you.. probably your batteries are dead. I've not had any interruption in service at all. Just this morning went through 40 pictures. Not sure if that's by design, but it happens. When I first change the batteries i get tons of pics then it just slowly goes down until I replace them again. Batteries should be charged 100%. It has rechargeable batteries with a Snyper solar charger on it. The last pic from a week ago showed 100% full. Pretty sure it has something to do with their server. I have a Snyper and a Spartan. Snyper is a year old now. Picture quality is much better with the Spartan, but they are high maintenance. I use AT&T on both, $75 a year. except the cam emails direct to you. The only server that is involved is an SMTP server which if that was actually down I would not have got 40 pictures this morning. AKA it's definitely something on your end. Riddle me this. Up until 10/7 my camera was working great. Was recieving 20-40 pics a day. Than it quit until 10/14 and sent 7 pics than quit again. Just now I recieved two deer pics. Any ideas on what could be go on? Nothing has changed. Still have good service and full charge. Contacted Synper a few times but have given up on hearing back from them. Mine showed full charge too but also quite working with just a few random pictures. Changed the batteries and wala started sending pictures regularly again. Acorns? 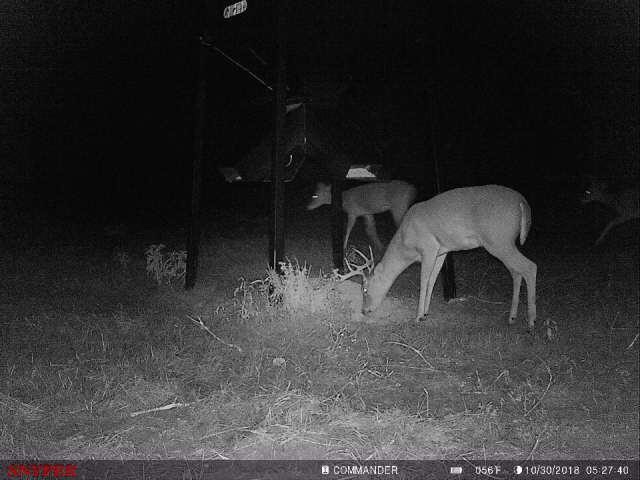 Is corn piling up under the feeder? I sent both my Reconyx cell cams to Reconyx to have Verizon modems installed. All I have to do is add a 2 lines on my Verizon account and it should cost nothing to operate monthly because I have unlimited data. Also, pics sent will be same as what’s on the SD card only Verizon offers this. 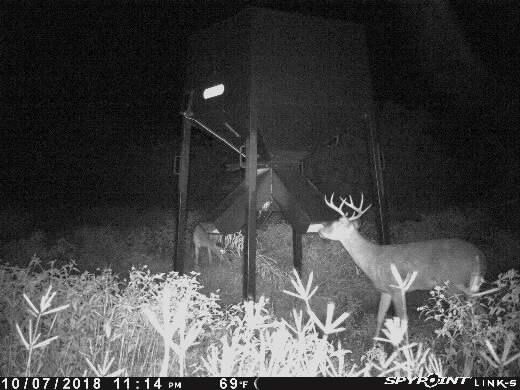 Wanted to give a quick update on spypoint vs Snyper trail camera pictures. 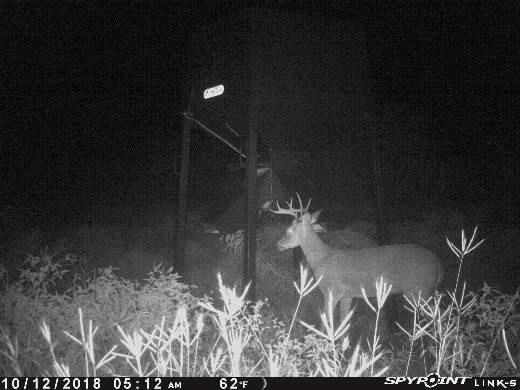 Got the Snyper in the field this past weekend and have the same deer in roughly the same spot for comparison. Disappointed I can’t change the Snyper camera settings with the app. I’m also receiving two of the texted same images each time a picture is taken, not sure why. I’m also receiving two of the texted same images each time a picture is taken, not sure why. Only thing I can think of is perhaps you put your phone number in both the message field and the email field.